Product categories of Serpento Motorcycle Part, we are specialized manufacturers from China, Serpento Dirt Bike Part, Serpento Motorcycle Engine Part suppliers/factory, wholesale high-quality products of Original Serpento Motorcycle Part R & D and manufacturing, we have the perfect after-sales service and technical support. Look forward to your cooperation! Serpento is a well know brand of dirt bike in South America.You will see serpento dirt bike in these countries:Honduras,Costa Rica,Nicaragua,Venezuela,etc.Serpento dirt bike has a good explosive power, torque, better power, climbing ability, faster response, suitable for handling complex road conditions. 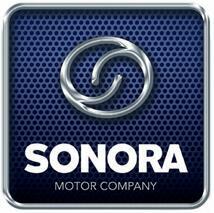 More scientific ergonomics, to ensure that the comfort of control.Sonora Motor can supply original Serpento dirt bike parts, Serpento Motorcycle Engine Part,Serpento dirt bike plastic body kit, etc.